The Government has identified seven traffic offences and intends to impose the Rs.25,000 fine for these offences. This is with the aim of reducing the road accidents in the country, Transport and Civil Aviation State Minister Ashok Abeysinghe said. Joining the Committee Stage of the Budget in Parliament yesterday when the Expenditure Heads of Transport and Civil Aviation Ministry and Ports, Shipping and Southern Development Ministry were taken up, Abeysinghe noted that at least 8 persons are killed in road accidents on a daily basis. He said the government increased the fines with the aim of reducing traffic offences. 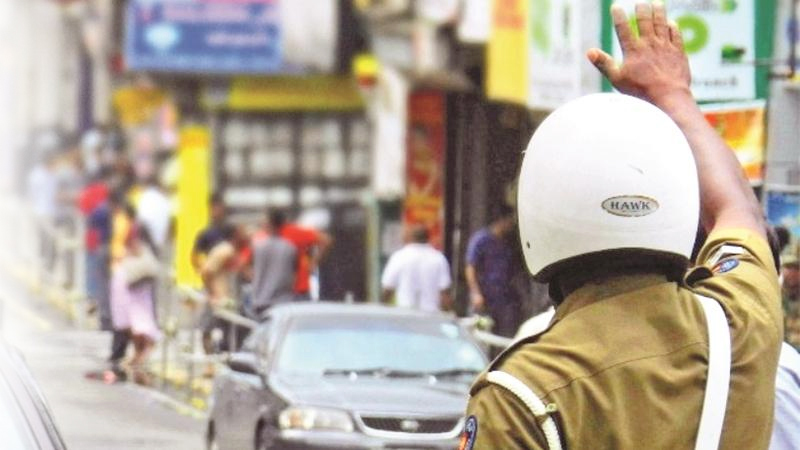 The number of offences for which fines will be imposed have been increased from 24 to 31 with a limit of Rs.3,000. Raising a Point of Order, Opposition MP Mahinda Amaraweera asked if by increasing the rate of fines, if the number of accidents had reduced. The State Minister noted that one of the main reasons for accidents at present is the lack of sleep for drivers. Hence, he said the Road Development Authority is in the process of conducting awareness programmes to educate drivers on the dangers of driving while being drowsy due to the lack of sleep and fatigue. The Transport and Civil Aviation Ministry has been allocated Rs.69.18 billion through the budget. The State Minister noted that around 12 buses belonging to various depots are damaged due to accidents every month. Hence, they hope to repair at least 15 of these damaged buses every month and deploy them for service.